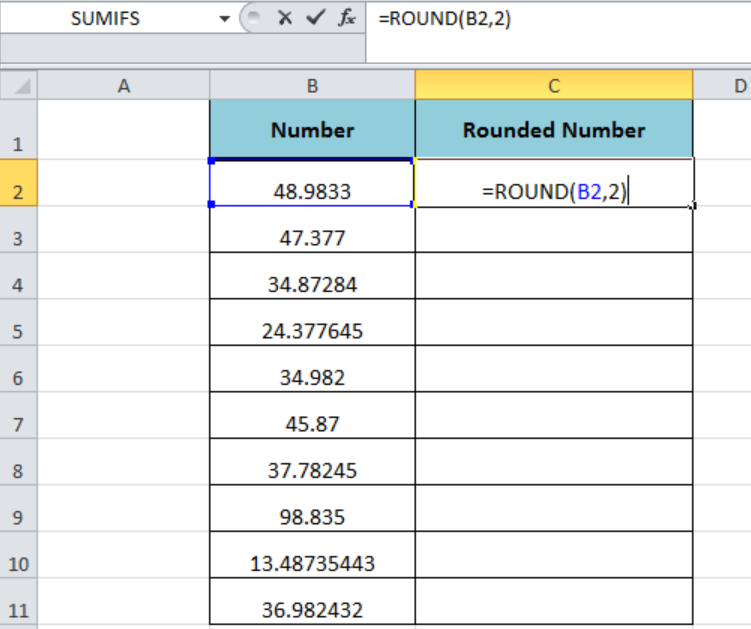 Insert the ROUND formula =ROUND(B2,2) in the blank cell C2 and press Enter keyboard button. 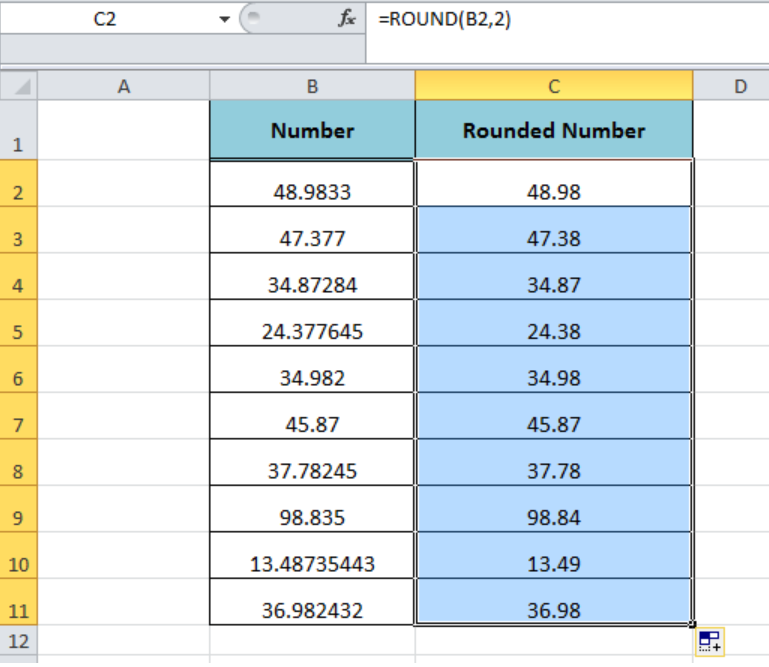 The numeric value of cell B2 will be rounded with two decimal places. 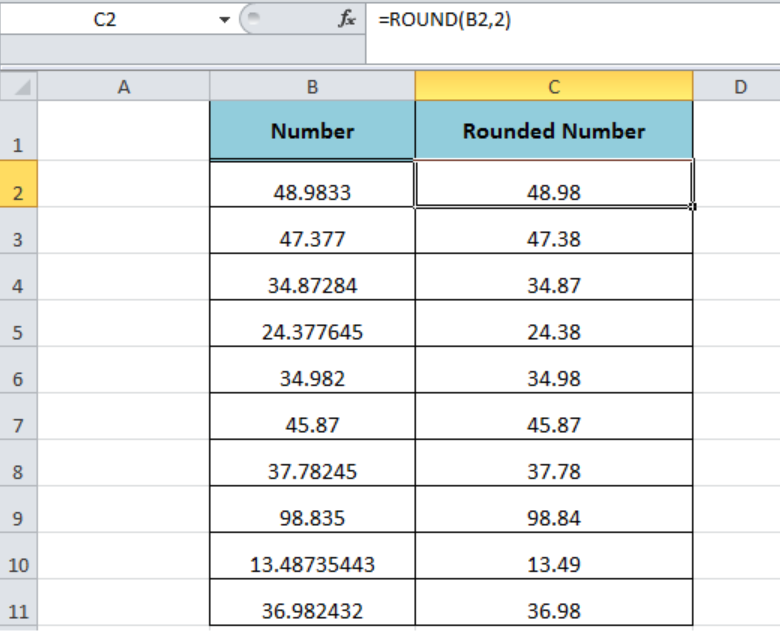 Place the cursor in cell C2 and take the mouse pointer at right bottom corner and drag the + AutoFill handle to round the multiple cells value at once over the range of cells C3:C11.